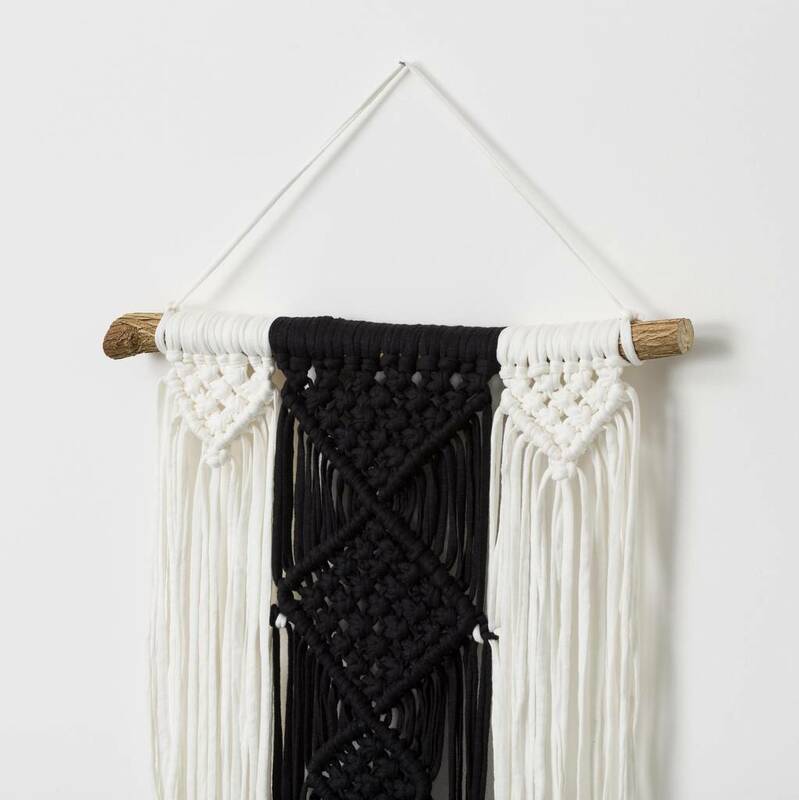 A striking black and cream macrame wall hanging. This handmade hanging is sure to enhance any room in your home. 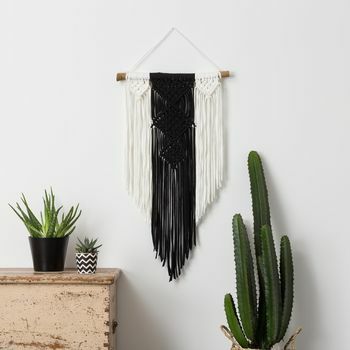 The piece has been lovingly made using recycled t-shirt yarn and locally sourced fallen wood.